Manila Philippines - There is a higher percentage (75%) that the Typhoon Hagupit will enter Philippine Area of Responsibility to hit Eastern Samar as the first landfall this coming Saturday. PAGASA also reminded those LGU's to be ready by Friday. 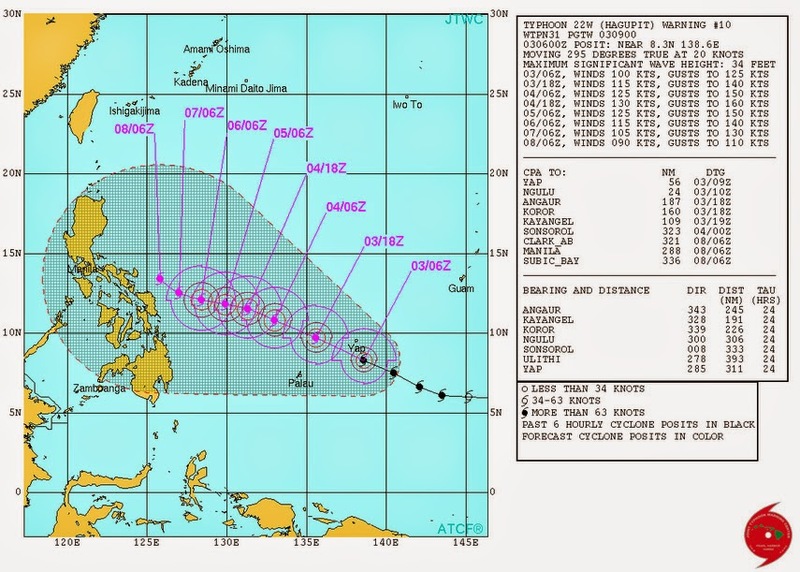 Once Hagupit enters Philippines it is expected to maintain its movement of 140kph and the possibility to create high storm surge. PAGASA also reminded citizens to be more vigilant because the heavy rains brought by the Typhoon may cause landslides and floods.